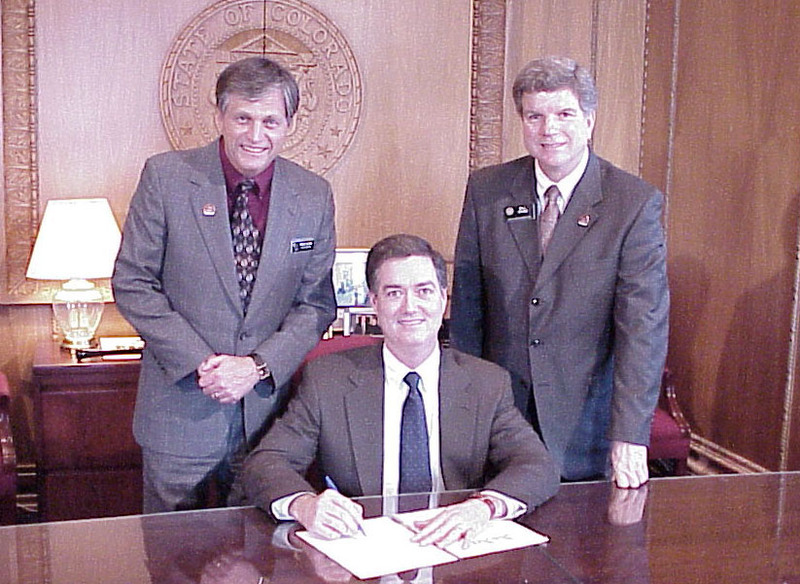 Denver -- State Sen. Bruce Cairns, R-Aurora, and state Rep. Bill Crane, R-Arvada, recently joined Gov. Bill Owens as he signed House Bill 1043 into law. The bill addresses the calculation of unemployment insurance tax refunds by repealing an unneeded and seldom-used refund formula. The employer-friendly bill allows employers to simply be refunded any overpayments that may have made without going through a lengthy and costly refund process. This marked the first bill-signing ceremony for the freshman lawmaker from Aurora. Senator Bruce Cairns represents Senate District 28 which includes south Aurora and portions of Arapahoe County. Cairns serves on the Senate Education Committee.